When there are items that overlap on a developer story, I think it could be useful to give us the option to rearrange them as we want so that we can have our story make sense. Check out my story, while I was working at WiseClick, I got interested in communications... then, I wrote an article in my blog which led me to my next job. 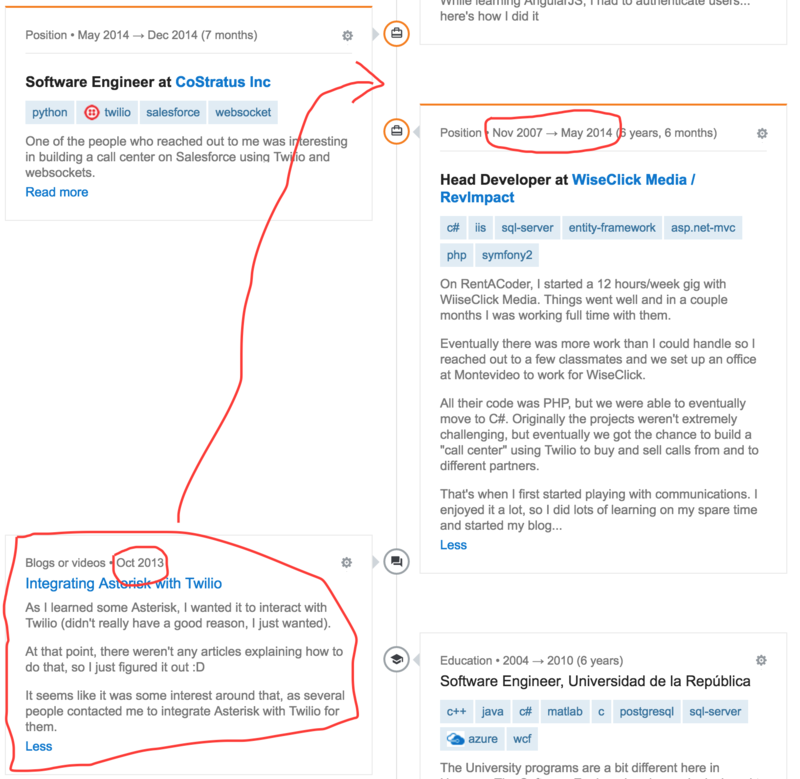 The problem is that I can't show that right now, as I ended working at WiseClick on 5/14, my blogpost (dated 10/13) will always appear "earlier". Rearranging items in your story and emphasizing the ones you want are definitely something on our radar. Developers should be able to customize their story as they see fit.